The NBA has lost another of its premiere players to injury. 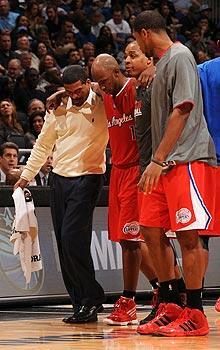 Chauncey Billups has suffered a season-ending, and most likely a career-ending Achilles tendon injury. Although the majority of us are really happy that the NBA is back, that players and owners were able to come to a working agreement after a long locked out summer, and that each night is saturated with NBA games - at what cost has this condensed season with multiple stretches of back-to-back games come at? 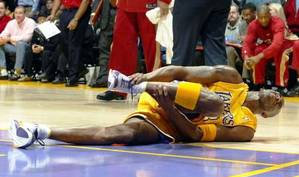 It’s of little surprise that one of the NBA’s greatest floor generals suffered a non-contact Achilles injury Monday night after a shortened and hastened pre-season after a similar trend was discovered this past pre-season in the NFL after a similar lockout scenario. Did the NBA not learn anything from the NFL and the result of its shortened pre-season where Achilles injuries were recorded at a 4x greater rate? Although much was certainly debated this summer between owners and players, the topic of elevated injury risk was certainly not. Of course there are a number of factors that may have contributed to Billups’ tendon failure: his age, prior injury, or the incredible number of minutes played over his 14-year career, but one cannot ignore the similarities between the previously published NFL data and the current injury trend emerging in the NBA this season. Unfortunately for the NBA, what might ultimately be the Achilles heel for this year’s season and what we may all ultimately remember it for, might just actually be the Achilles after all. Myer GD, Faigenbaum AD, Cherny CE, Heidt RS, Hewitt TE. Did the NFL Lockout Expose the Achilles Heel of Competitive Sports? J Orthop Sports Phys Ther 2011;41(10):702-705. Although heel cord stretching and the use of the one dimensional slant board remain mainstream in nearly every sports medicine facility and rehabilitation program following a lateral ankle sprain, the lack of ankle dorsiflexion range of motion continues to reign supreme as the underlying cause for everything from an altered gait pattern, poor squat technique and the cause of ankle reinjury itself. So if we as sports medicine and strength professionals spend so much time addressing this limitation in both our rehabilitation programs and strength routines, why then do we seem to be no further ahead when it comes to making an actual change in both true osteokinematic and arthrokinematic motion? Well, the answer I believe lies clearly in the fact that most professionals are simply not addressing the arthrokinematic motion so closely and dearly needed within the ankle to achieve full and unrestricted ankle dorsiflexion. 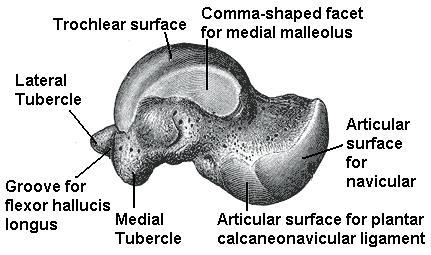 Well, according to the above authors, a more hands-on approach with specific attention to the talus would result in a truer movement within the talocrural joint and a much happier ankle complex. The next time you encounter a patient with limited ankle dorsiflexion, whether it’s immediately after an ankle sprain or as part of your whole body assessment for another injury presentation, take a moment and assess both the quantity and quality of motion for all contributing factors to ankle motion. Of course, if you never assess for this motion you’ll never know it’s NOT there. Ignorance is bliss after all. Ankle Sprain? Address the Hip! After a severe ankle sprain so much attention is often spent addressing the injured ankle that little time or thought is ever given to how the subsequent pain or the altered gait/weight bearing status of the individual plays into the long term health of the ankle or the entire kinetic chain that sits above it. Because injury within one area of the body may influence muscle activity, muscle recruitment and ultimately pain in another “unrelated” area, it is important for the clinician to both investigate and consider addressing these potential changes as part of their routine examination and rehabilitation programming. With previous injury being the most powerful predictor of future injury, along with previous ankle sprain recurring as a future ankle sprain approximately 80% of the time (Smith, 1986), it’s worth considering another look at how we care for this common ailment. Traditionally, athletic trainers and other health care providers focus on providing PRICE (Protection, Rest, Ice, Compression and Elevation) after an acutely injured ankle but unfortunately continue to address the pathology this way for an extended period of time. Although some forward thinking health care professionals actually do provide high level functional exercises within their rehabilitation program rather than the popular 4-way ankle thera-band exercises and Buso ball balancing acts that usually follow the ever present “ice and e-stim” protocol, very few address the altered function within the hip and hip musculature immediately after injury in an effort to sustain the highest level of athletic ability upon return to play. Below are two articles that will certainly get you thinking about your own rehabilitation protocol following ankle sprains and perhaps even convince you that squatting and preparing your athletes and patients to squat after injury is not just something that strength coaches should be doing. Bullock-Saxton, J. E., Janda, V., & Bullock, M. I. (1994) The Influence of Ankle Sprain Injury on Muscle Activation during Hip Extension. Int. J. Sports Med. Vol. 15 No. 6, 330-334. Methods: In this study, authors looked at the function of the hip and specifically hip extension after severe ankle sprain (20 men, aged between 18-35, who had suffered unilateral severe ankle sprain no less than four months earlier who were pain free at the time of the study) and compared them to eleven matched controls. Muscle activation during prone hip extension was measured using electromyography on the motor points of ipsilateral and contralateral lumbar spinae extensors along with the hamstrings and gluteus maximus muscles of both lower limbs. 1. Pain is unpredictable and far reaching. By utilizing the SFMA as part of your evaluation process clinicians may address contributing problems and/or motor control deficits that otherwise would have gone unnoticed. You’ll be amazed on how many patients that present to you with complaints OTHER than ankle pain often forget to mention that they have had a severe ankle sprain in the past just as you witness them topple over during the Single Leg Stance (Stork Test). 2. Evaluation of any injury must also incorporate the evaluation of whole body movement patterns as a means to both addressing performance limitors as well as possible contributions to future injury. Methods: 23 subjects with unilateral chronic ankle sprain were recruited. Subjects had at least 2 ipsilateral ankle sprains and were bearing full weight, with the most recent injury occurring at least 3 months earlier. They were not undergoing formal or informal rehabilitation at the time of the study. Researchers obtained goniometric measurements for all planes of motion at the ankle while handheld dynamometry was used to assess the strength of the hip abductor and hip extensor muscles in both limbs. Results: Hip abductor muscle strength and plantar flexion were significantly less on the involved side than the uninvolved side (P< 0.001 in each case). Strength of the involved hip abductor and hip extensor muscles was significantly correlated (r=0.539, P < 0.01). No significant difference was noted in hip extensor muscle strength between sides ( P = 0.19). Discussion: Our subjects with unilateral chronic ankle sprains had weaker hip abduction strength and less plantar flexion range of motion on the involved sides. Clinicians should consider exercises to increase hip abduction strength when developing rehabilitation programs for patients with ankle sprains. 1. I remember Charlie Weingroff telling me that he had never met a flat arch that the hip couldn’t fix. Of course this is not entirely true, and Charlie would admit this as well, but the fact remains that the hip has a tremendous effect on lower extremity function including your arch and of course your ankle. 2. Treatment protocols that include evaluation and strengthening of the hip must be established after injury to the ankle. Rehabilitation of proximal structures should be prominent within any lower extremity injury rehabilitation programming. No longer should injury be treated as an isolated insult to a specific joint, ligament or muscle. Both injury itself and the pain produced as a result from the injury have far reaching ramifications that require clinicians to incorporate evaluation and rehabilitation techniques that involve joints above and below the site of insult. Clinicians must develop a keen sense and an appreciation for whole body movement patterns and address aberrant patterns when they present themselves. Both the double leg and single leg squat patterns are time efficient tests that provide the attentive clinician an opportunity to observe such troubling patterns. Functional return to play guidelines and testing need to incorporate measures not just related to ankle strength and range of motion but must also include measures related to the hip. Hand held dynamometer measures taken during annual pre-participation screenings can both be used as a baseline to compare after injury or used to tease out those individuals on entry with less than optimal hip strength from a previous unresolved injury. Those individuals that have significant side-to-side differences can immediately be given additional exercises and attention in an effort to both improve performance and possibly reduce the likelihood of future injury. Other pre-participation screening tests include single leg wall sit or single leg hop for distance which will provide additional information in the form of strength, power and motor control. There are certain things you just have to do each day – brushing your teeth is one of them. Not just the brushing every day part, (although clearly important) but their whole approach. You probably don’t even remember your first visit to the dentist do you? That’s my point. Dentists get you right from the get-go. You’re evaluated, x-rayed for a baseline to compare future visits to, you get picked at, poked and prodded and then they finish your visit with a cleaning, rinse and some fresh minty breath. If you have good insurance you get to go back twice a year – Shoot, sometimes you go in and you don’t have any tooth pain at all. But isn’t this the point? If the dentist finds tarter build up – BAM that little hook comes in and blasts that gunk right out of there. No use in letting that sit until it causes a cavity – your dentist wouldn’t be doing their job if they did. Yet, many times (I really mean all the time) in sports medicine we see athletes and patients with poor movement patterns, dysfunctional squats, steps and lunges and we do nothing. Their knee doesn’t hurt yet. No need to take a look. No baseline assessment. No poking. No prodding. Once in a while an athlete or patient comes in on the advice from a friend – they have back pain. If you went to a dentist and you had a tooth ache and they rubbed some Novocain on your gum and told you to come back the next day to do it again you’d soon find another dentist to go to. One that addressed the problem and not just the symptom, and one then that gave you some advice on how to avoid future problems. 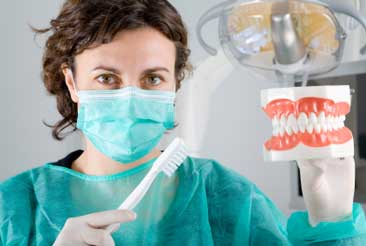 Dentists do it right – Baseline Evaluation, Regular On-Going Assessment, Treatment/Maintenance and Education. I remember when I was a child brushing my teeth three times a day and then if on the rare occasion I was allowed to have some ice cream or candy my mother would make me do it again! 33 years later not a single cavity. I wish I could say the same for my back pain.